This is a mask used in the Talchum mask dance in Korea; the dances were in the past an outlet for letting out the frustration felt by the commoners towards the Yangban ruling class who were following the Confucian doctrine. The stories of the dance often mock the ruling class by ridiculing monks, the upper class and shamens. The dance would be performed at festivals, these dynamic dances are received by an equally energetic audience who would join in the dance at the finale. 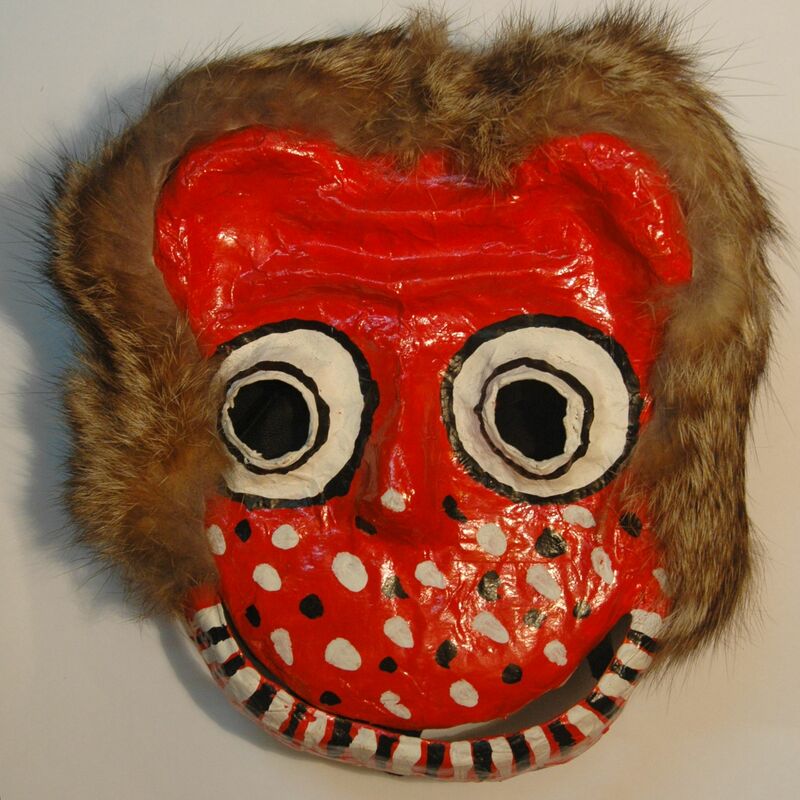 This is a monkey (Wonsungi) mask made of paper and fur; in the dance the monkey usually plays the role of mimicking humans.